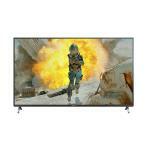 Panasonic TH-55FX700Z 55in Expert Reviews - Read Reviews and Buy Smarter Online. Verdict: The picture quality is fabulous. For the price of this TV I think the quality is excellent. The only downside is the sound isn't great. You have to have the volume turned up quite high although we will probably be purchasing a sound bar to accompany it. Really easy to set up. Verdict: "After reading lots of reviews and comparing picture quality against other manufacturers in stores I opted to replace my old panasonic plasma with their TX55Fx700B. Assembly was just two legs that click into place with two position choices if your platform is not as wide as tv. Verdict: Bought this a week ago, set up was easy colour definition is fantastic as is saturation, would highly recommend this product, there are outstanding features also with 4K. The purchase price that VERY offer is an exceptional offer. Could not be more pleased.